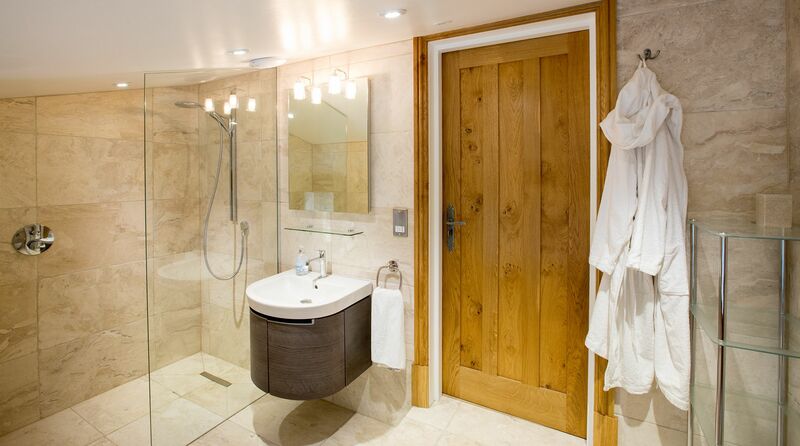 Complement your stay with one of the bespoke services Waternook has on offer. 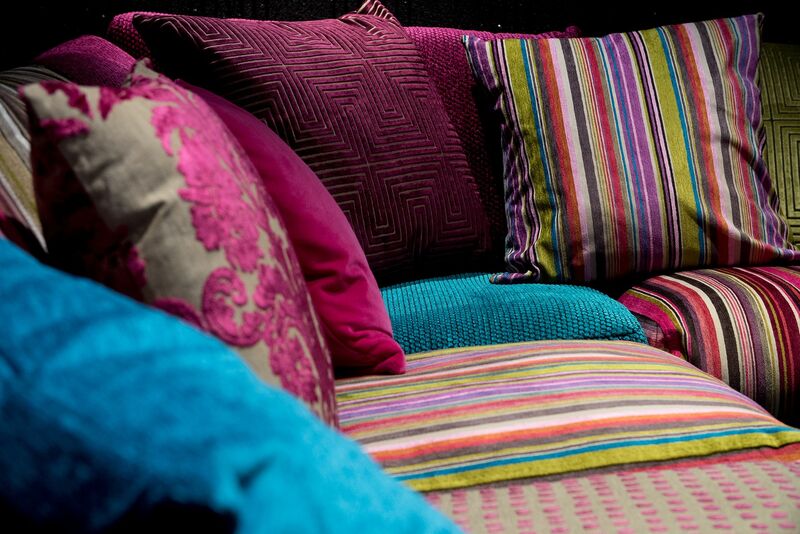 Please contact us to discuss your personal needs, availability and prices. 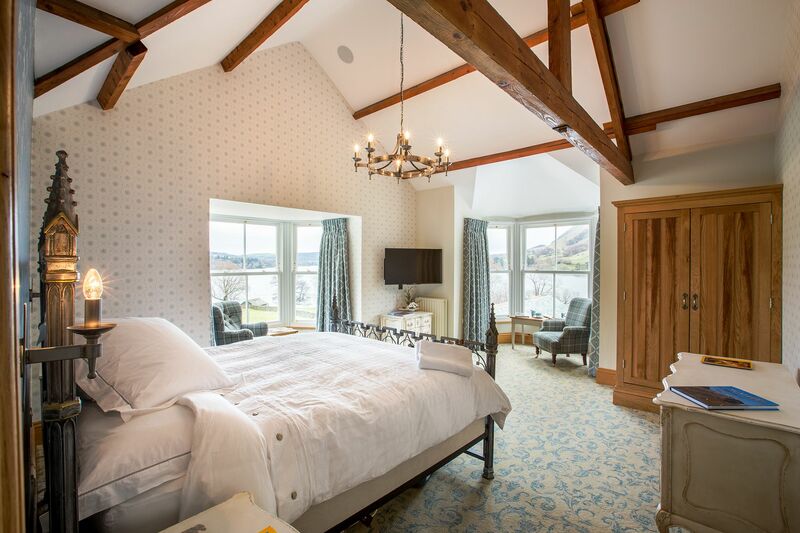 Five Star opulence on Ullswater, Waternook is a 17th Century property offering exclusive luxury self-catering accommodation. 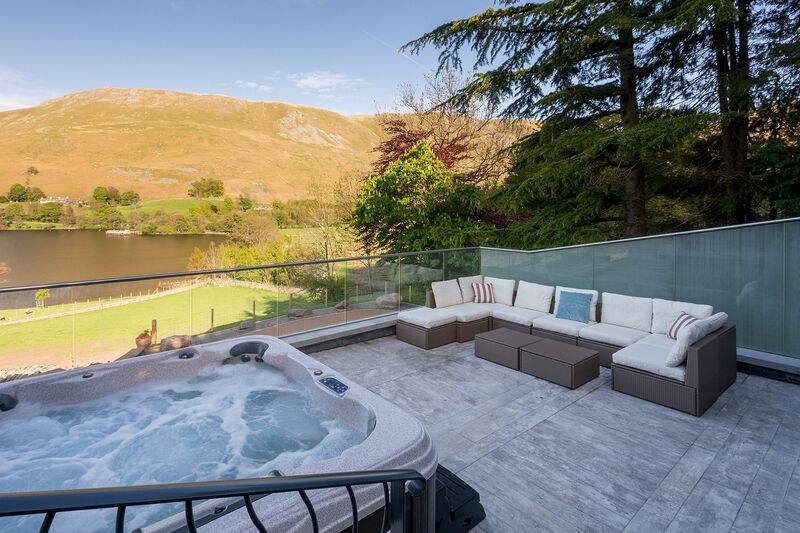 Recently rated ‘Top 3 in England’ by VisitEngland Awards for Excellence, Waternook is quite simply outstanding and luxurious in every way. 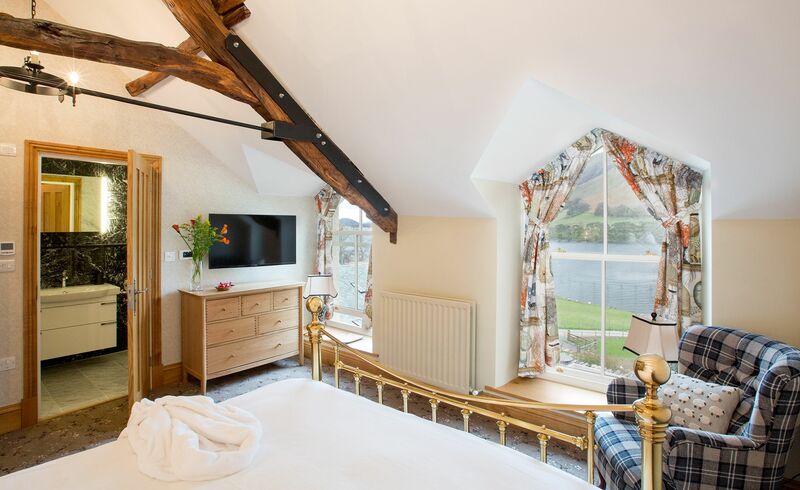 Sleeping 12 over six luxury suites, Waternook occupies a sublime, secluded setting within 26 acres of private grounds and terraced gardens commanding simply breathtaking views of lake and mountain. 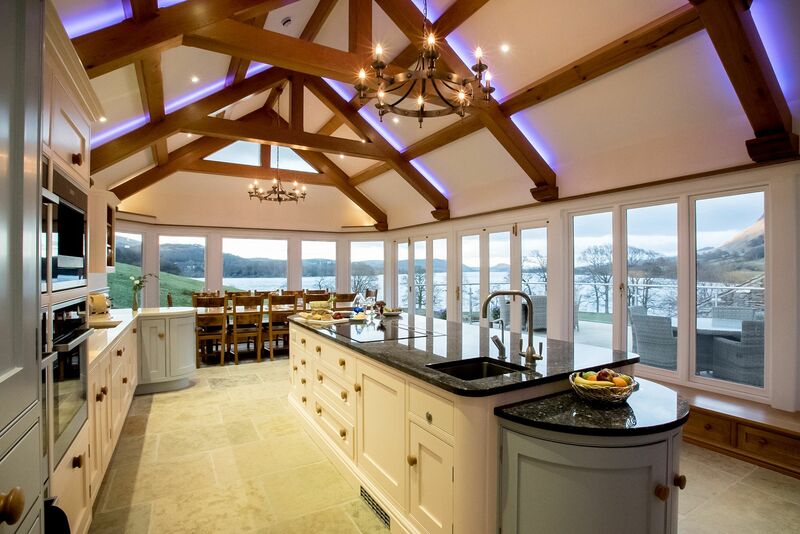 Waternook’s dramatic setting is complemented by half a mile of private access to England’s ‘most beautiful’ lake, complete with a boathouse and private jetty. 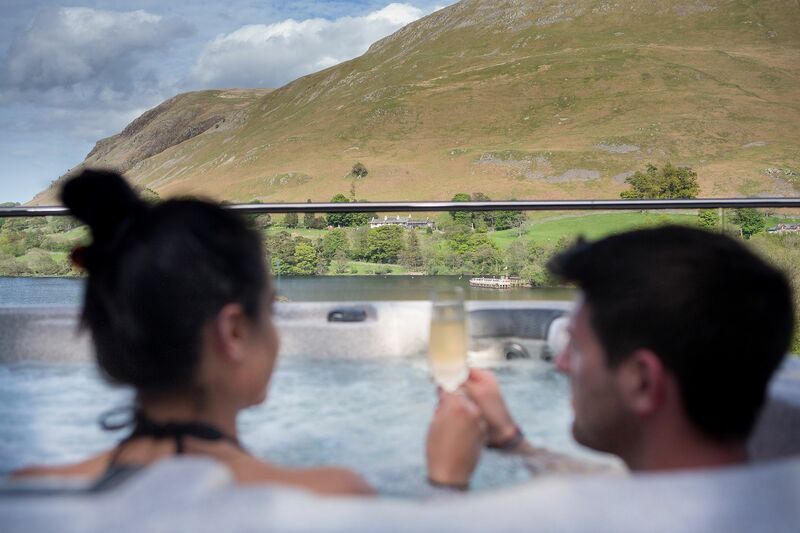 Your Waternook experience is further enhanced by a private cinema room with state of the art technology, lounge and reading rooms; state of the art kitchen and dining terrace with awe-inspiring views; Spa and Wellness Sanctuary featuring Laconium and bar area leading onto the hot tub terrace. 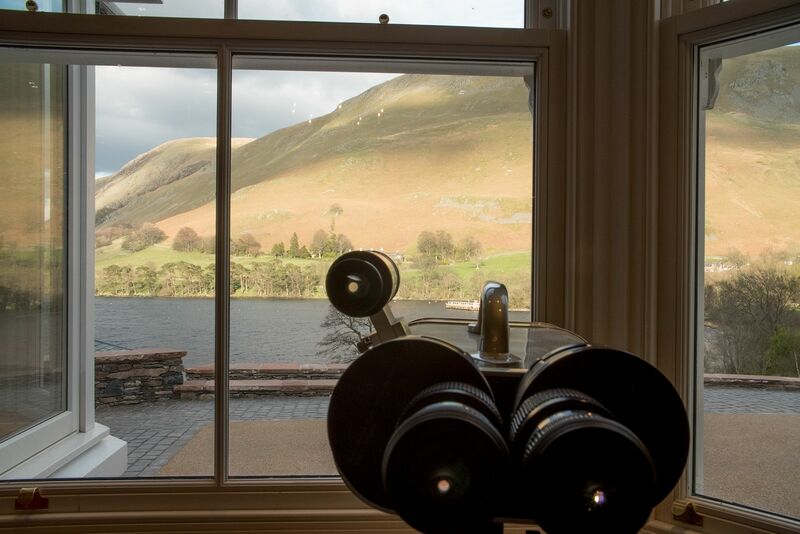 Gazing out through the array of glass, or indeed in the fresh-air gardens with terraces, it would be easy to imagine this plethora of mountains on display have been carefully arranged to provide Waternook with the most spectacular views ever. 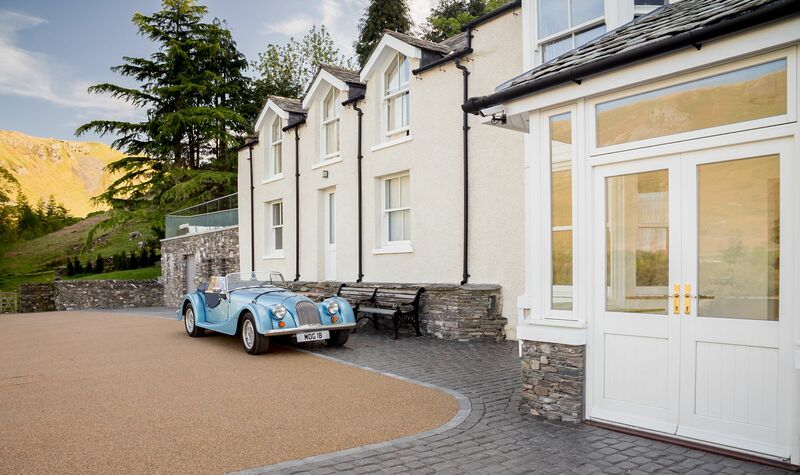 Your four legged friends are well catered for too, with luxuriously created accommodation in the boot room, which benefits from underfloor heating, facilities essential for pooch pampering and stunning fell views. 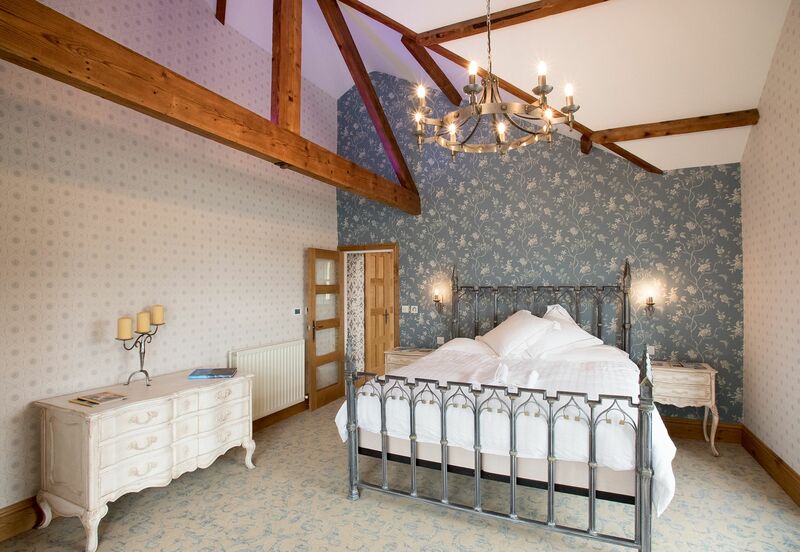 This magnificent private estate comprises Waternook (sleeps 12) and The Great Barn (sleeps 8). 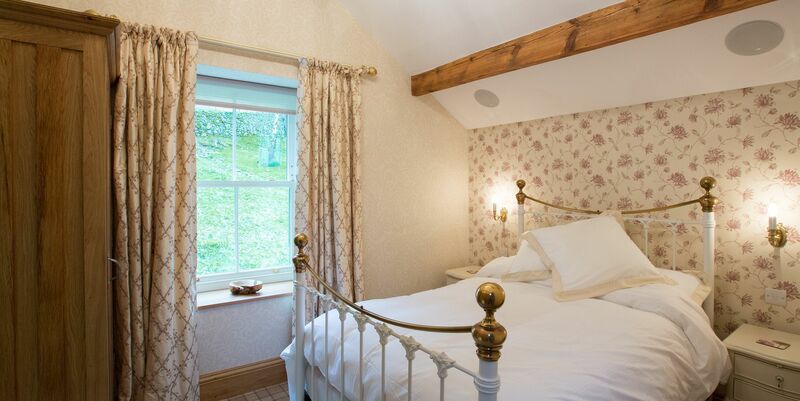 Both properties can be booked separately or as one (Waternook & The Great Barn) giving total exclusivity for 20. It’s not surprising that Waternook keeps picking up award after award. 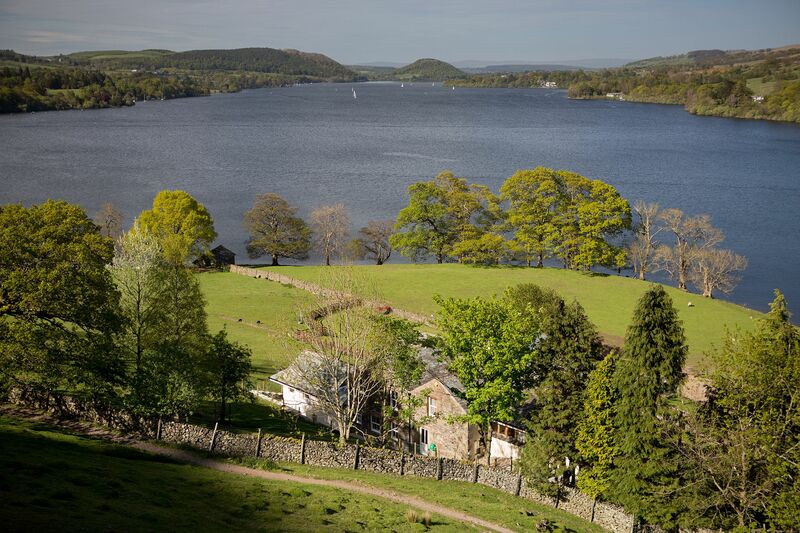 Both properties have been rated ‘Top 3 in England’ by VisitEngland Awards for Excellence’ in 2017, Top 50 Best Cottages in the UK & No.1 in The Lake District’ by The Times and ‘Top 12 party pads’ by The Sunday Times. 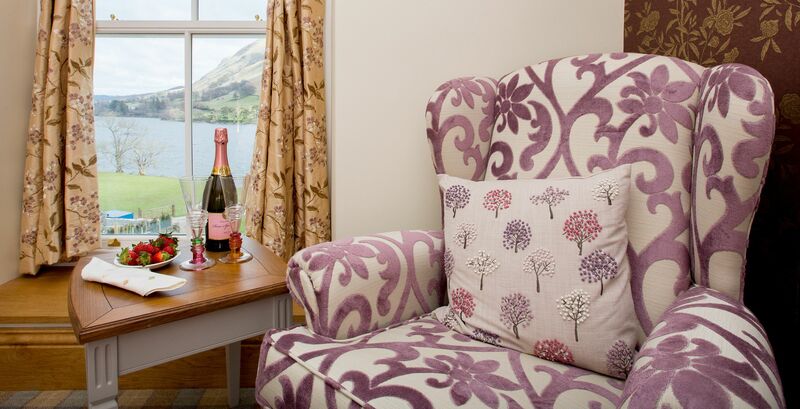 Rated Visit England 5 Star Gold, they won the 2016 Cumbria Tourism Awards as well as being featured on ITV’s This Morning and Lorraine. 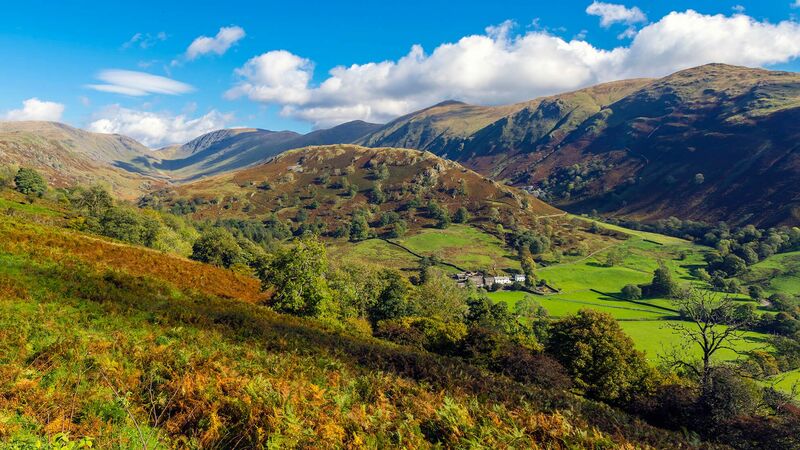 Surrounded by stunning Lakeland fells, which are ideal for walking, Waternook is set amongst some of the most breathtaking scenery you’ll find in England. 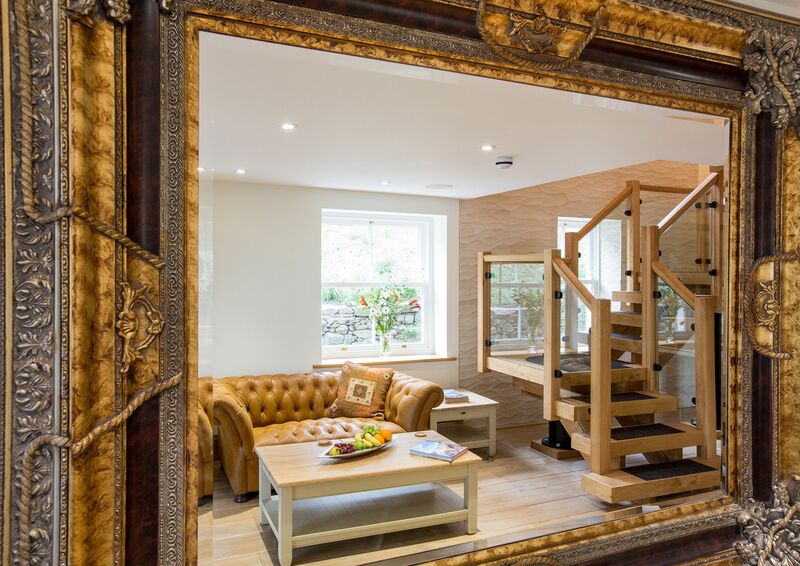 It is the perfect retreat for a relaxing get away and, for those thrill seekers looking for the next adrenalin rush, the perfect playground for adventure! 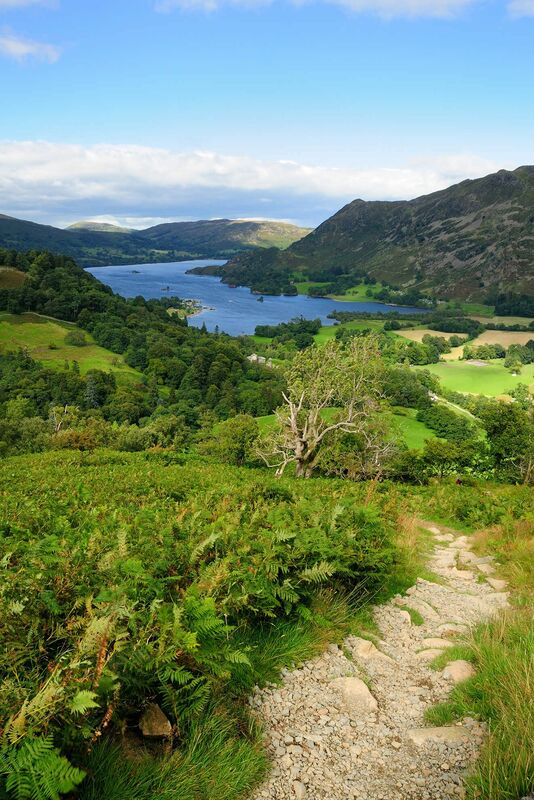 Nestled on the side of Hallin Fell there is an abundance of stunning walks to enjoy direct from your front door. 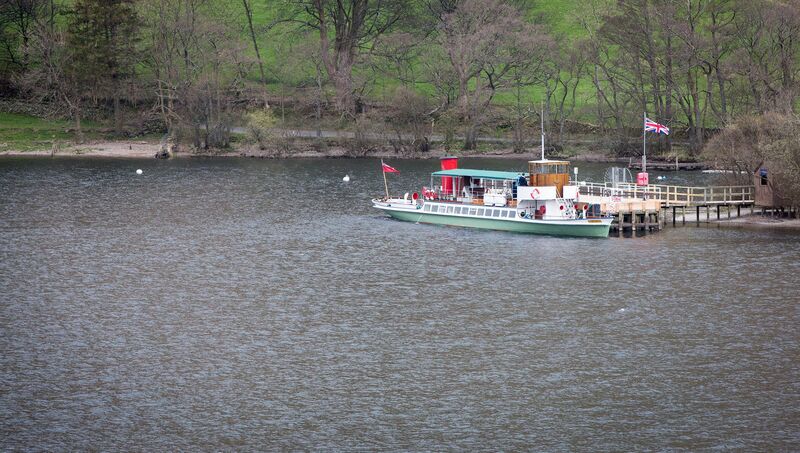 If you would rather embark on your own Swallows and Amazons adventure there is a lot of Ullswater to explore and kayaks, canoes, paddle boards, motor boats and RYA sailing lessons can be arranged at the Ullswater Yacht Club. 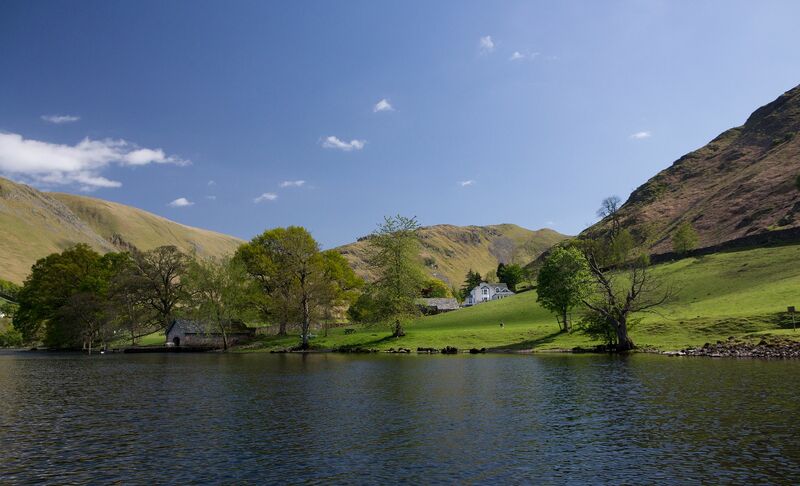 Waternook are also only too happy to arrange for private fishing tuition from one of the local qualified instructors. 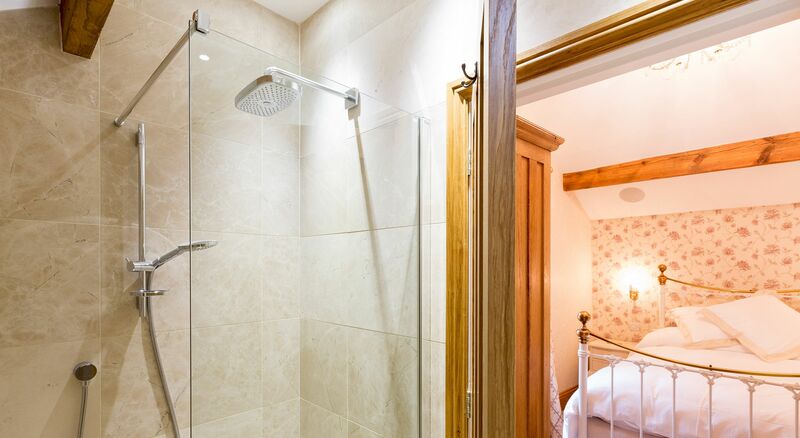 However you decide to enjoy your stay, you are certainly spoilt for choice, and there is certainly no finer place to escape to than Waternook for a memorable experience. 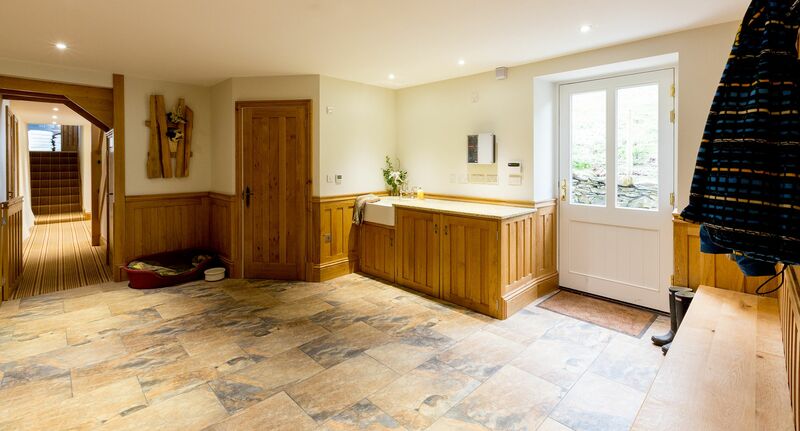 2018-01-08 Dave2811, Coleford (Trip Advisor) "My family and I (10 of us ranging from 7 years to 64) plus 2 dogs, booked Waternook across Christmas 2017. Our expectations (given the fabulous web site including the newly added virtual walk-through) were exceptionally high. Could Waternook really be that good???? 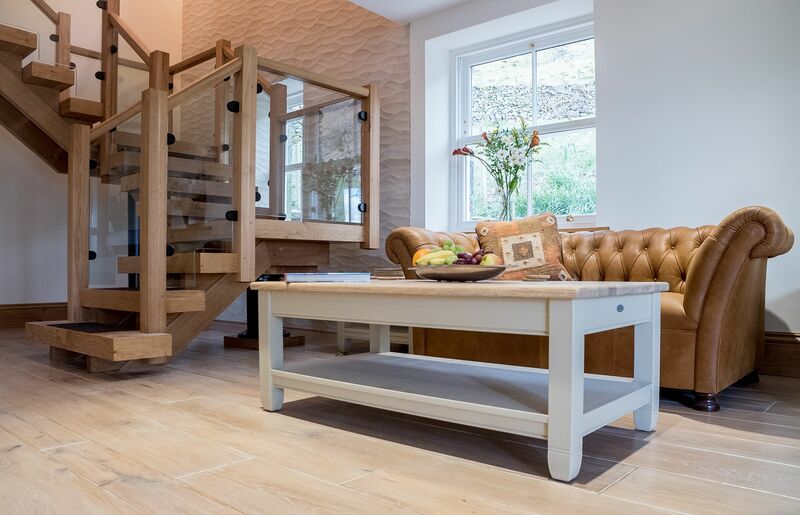 We need not have worried, as every element of our stay was just superb and we cannot comment too highly on what Waternook has to offer. 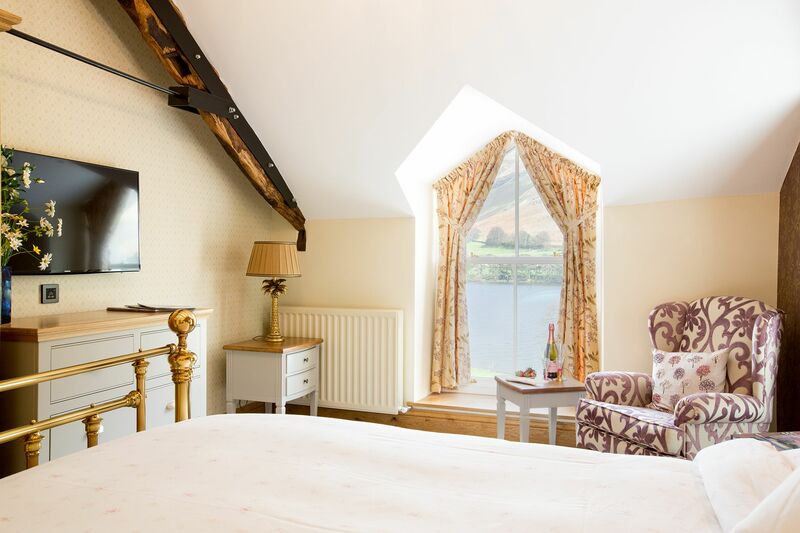 The location is just superb, with a 26 acre estate nestled under Hallin Fell on the banks of Ullswater, with exceptional views from every room. Fabulous walks in every direction, either on the relative flat of the lakeside, or strenuous uphill climbs, there’s no need to venture afar; indeed, I never used my car for a single day during our 7 day break. 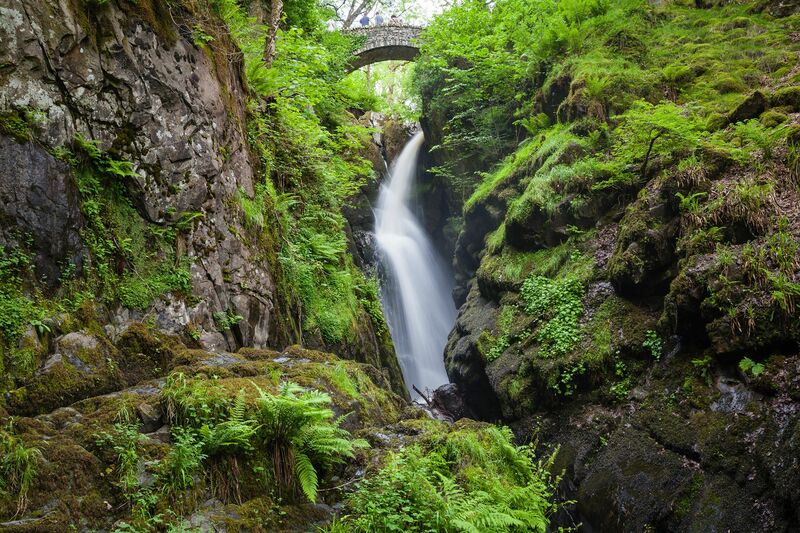 The Howtown pier for the Ullswater steamer is within walking distance and therefore a trip up to Glenridding or Aira Force is easy again without use of your car. 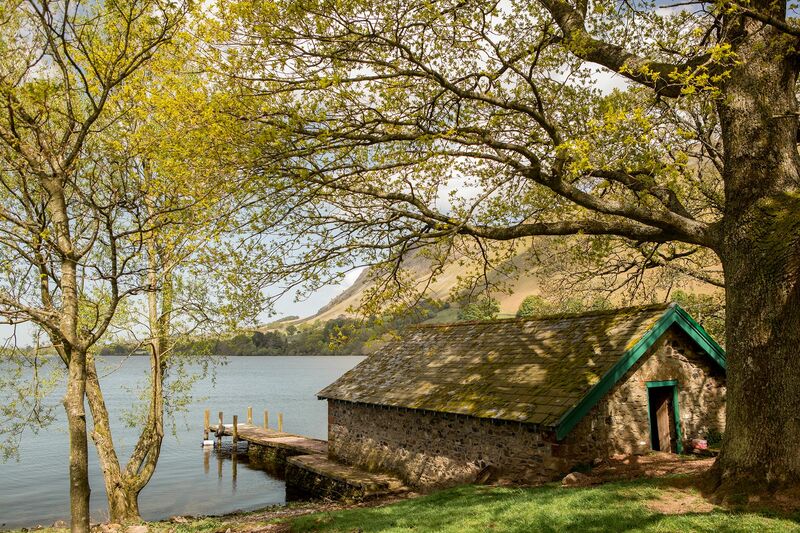 With the property off the beaten track, we did not hear a vehicle noise for the entire week, enjoying a blissfully quiet week, other than the lapping waters of Ullswater and variable winds through the many trees. As for the house itself; where do I start? 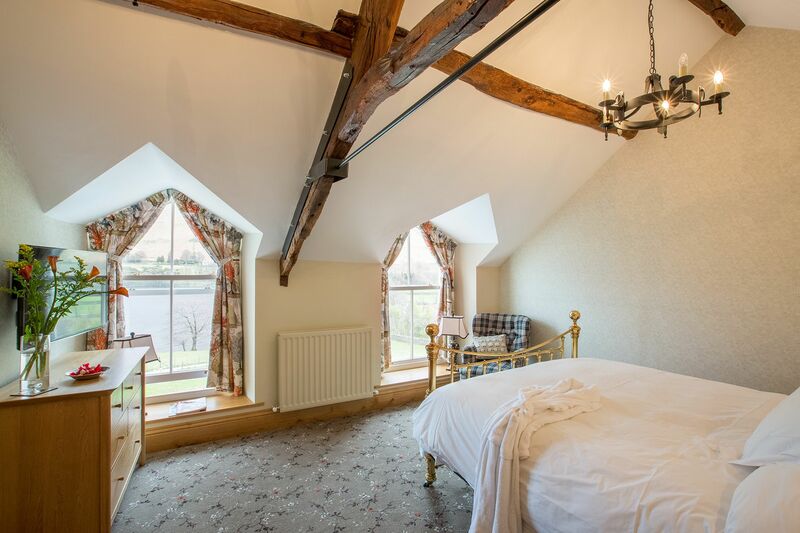 There are 6 superb bedrooms, all en-suite with showers and 2 with baths, one a huge free-standing bath, with far reaching views over the lake. 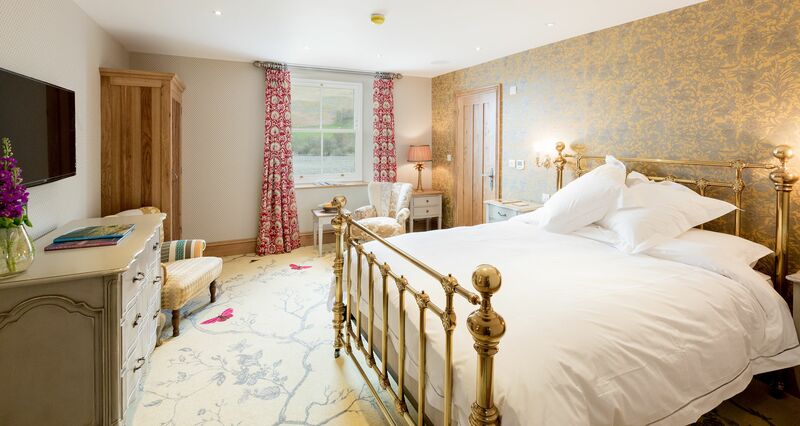 All are exquisitely decorated and come with fittings (from furniture to fine curtains and bed linen), that you would expect from such a fabulous property. 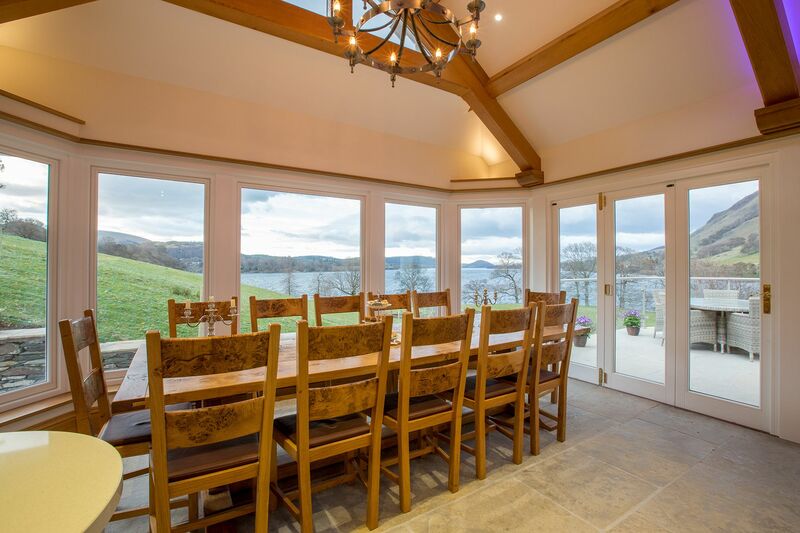 The huge wonderfully equipped kitchen was a delight for a large family to work in and eating at a large table, with a delightful view over Ullswater and surrounding Fells, made for a superb way to enjoy our family meals. 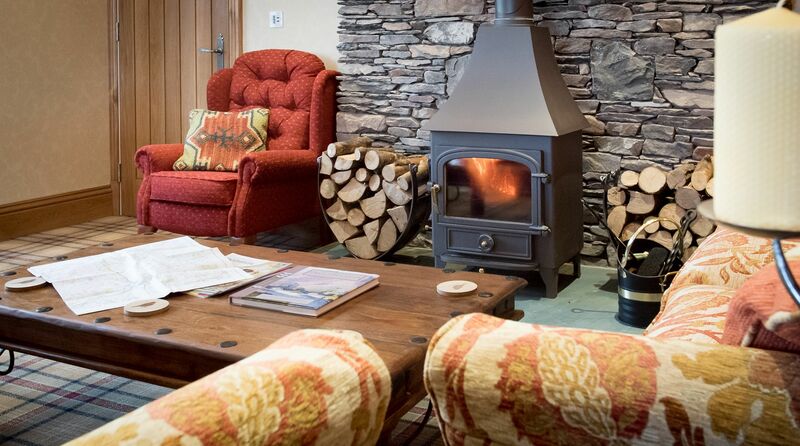 The large but cosy split-lounge, with a superbly efficient wood-burner (which included a huge mountain of kindling, fire-lighters and seasoned logs to burn) was just charming in the extreme. The lounge also had a great stock of books, guides and games. 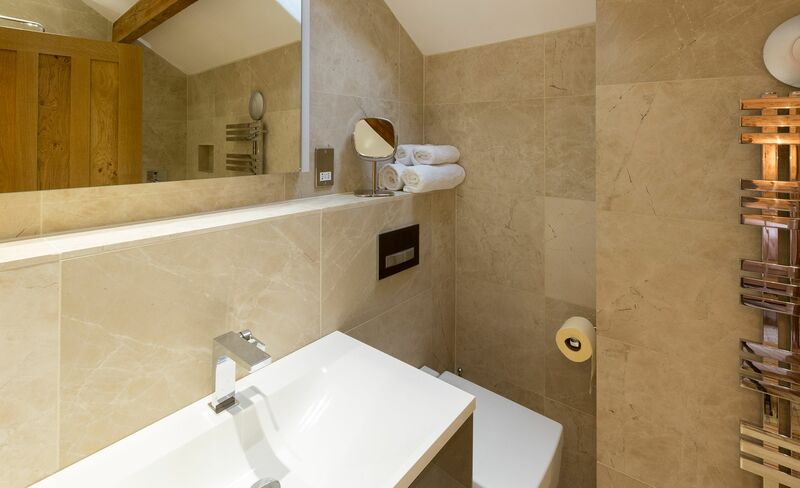 If that wasn’t enough, there were superb bonuses available too, a large private cinema room, which was well populated by a variety of age ranges for best part of the day, a bar and laconium (ideal for relaxing after a long day’s walking) and a fabulous hot-tub on the outside terrace. Relaxing here, with a drink in one hand, whilst staring-up at crystal clear night sky, engulfed in a million stars, is a memory that will stay with me for ever. 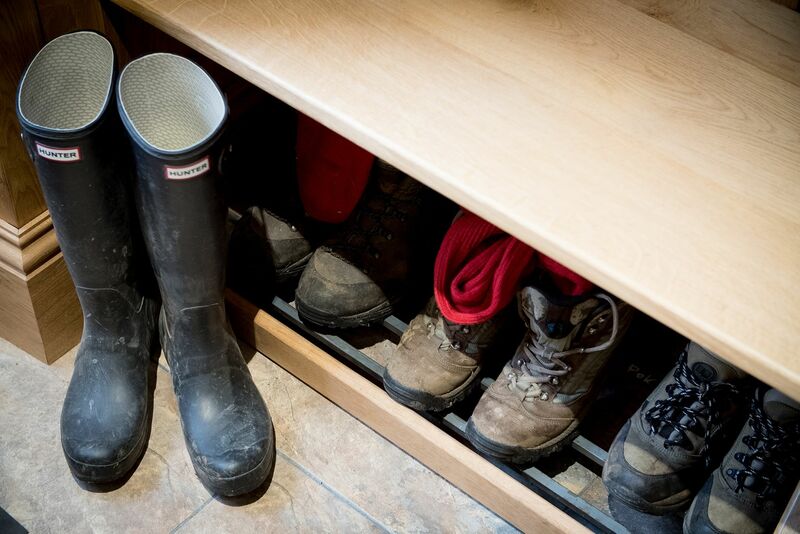 Dogs are well catered for too, with a super boot-room (under-floor heated, as is the kitchen and all en-suite rooms), ideal for keeping muddy boots and wet coats away from the main house and allowing them to dry naturally. 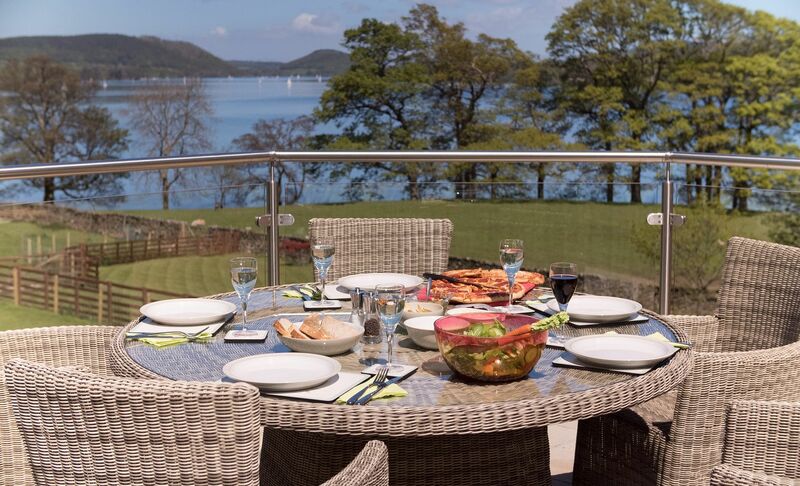 For the better weather there is also outdoor seating and an outdoor kitchen/bbq, we did not get to use this but it looked to be great quality. Waternook comes with a hefty (but totally justifiable) price tag however it oozes class and allows for total relaxation in exceptional surroundings and I would highly recommend it to anyone who is looking for an extraordinarily high-quality holiday home, that comes with additional ‘bells and whistles’ that you would not normally expect. I would also thoroughly recommend taking advantage of the private chef who is available to use at additional cost. 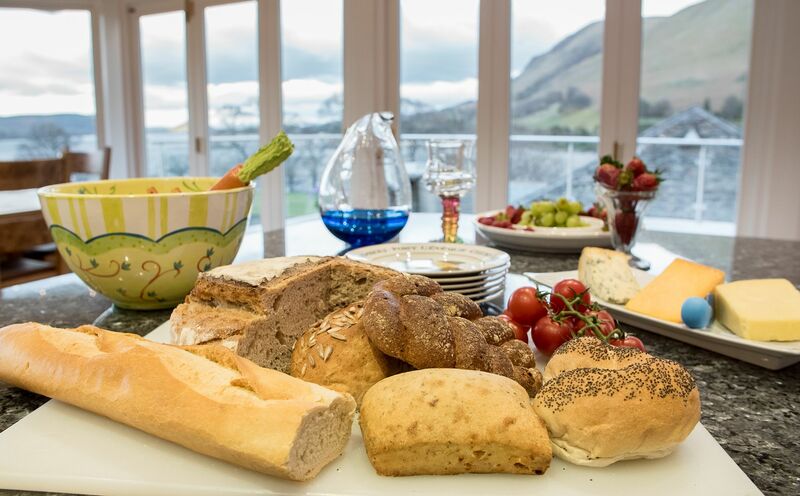 Our chef Peter Sidwell, co-owner of the local Keswick Cookery school, arrived and prepared and served a 5 course meal, the menu of which we had developed with him, through Waternook’s excellent host Dominic Gordon. Not only was an exceptional meal presented but he happily enjoyed the company of my daughter-in-law for the duration of his preparation and cooking (providing her with a much appreciated cookery demonstration!) but he brought along a pizza oven, allowing my young grand-daughters to prepare and (under close supervision) bake their own pizzas. In addition to the above, he also managed to wash and put-away everything as we ate (without use of the property’s 2 dish-washers! 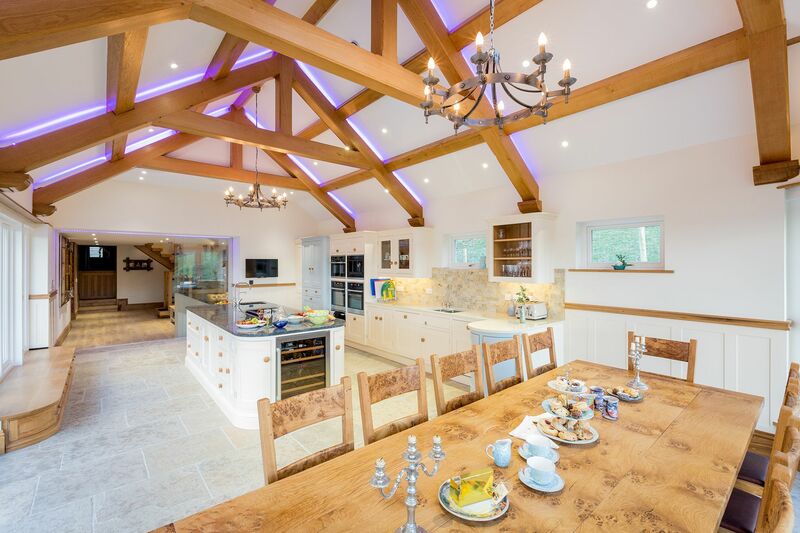 ), leaving us with a clear kitchen at the end of the evening – just marvellous! 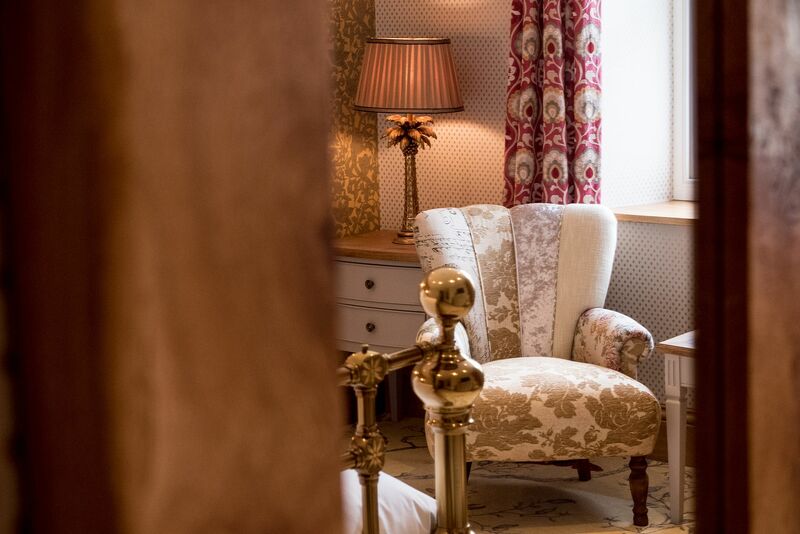 The entire booking was overseen with ultimate professionalism by Dominic and no stone was left unturned to ensure that we had the time of our lives and we most certainly did. Prior to our visit he was bombarded with a number of questions and requests but nothing seemed too much bother and his communications were always friendly and detailed. So, there you have it. If you have to save-up to go, whether you take a lump-sum from your savings or pension, just go. 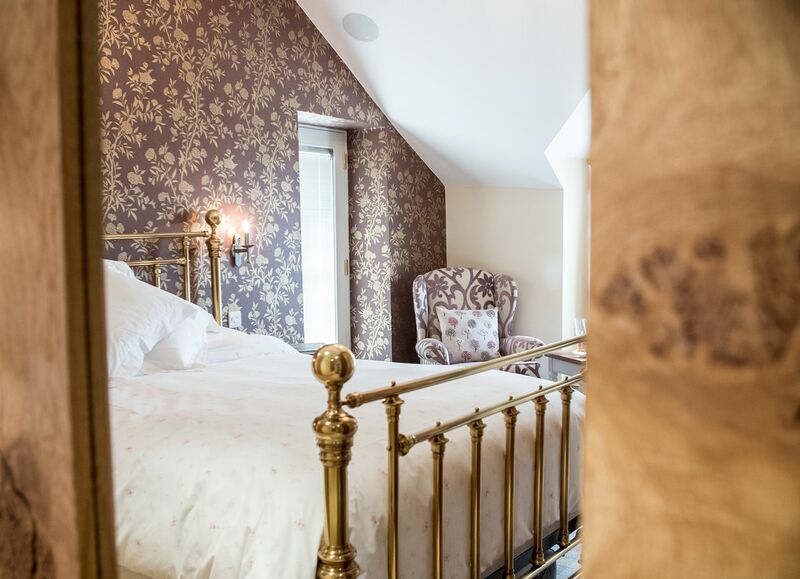 Rest assured you’ll not be disappointed but be prepared for one down-side (as we have discovered) and that is… where to go in future, as nowhere else may live up to what Waternook has to offer." 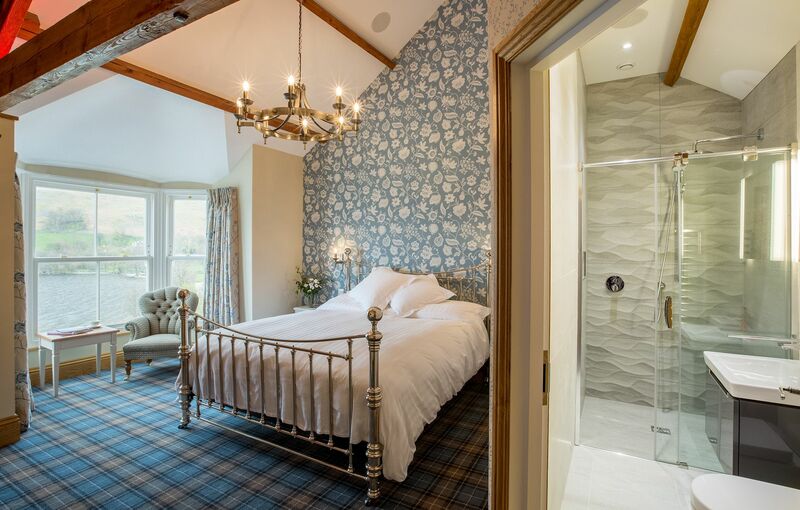 2017-11-07 dodd387, Chester (Trip Advisor) "Our entire family stayed here back in June (2017) and we were all lost for words with how much we loved our stay here! 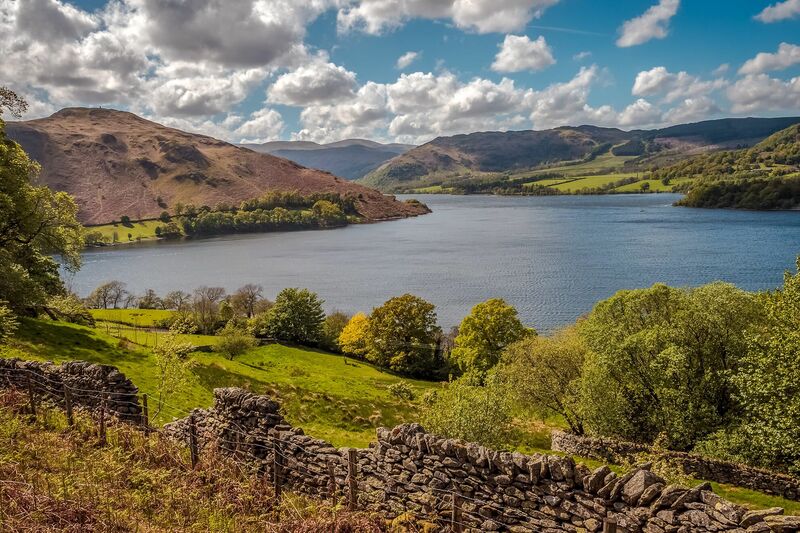 Unfortunately the circumstances surrounding our visit were far from great due to my dads declining health, he had stated his desire to have one more trip up to the Lakes with all the family. A place that is close to all of our hearts. I honestly don't believe we could have picked a better place! The views, the accommodation, the feeling of isolation. It was really was everything we wanted and dreamt of. We only had a couple of days here, but it was a couple of days the entire family will never forget. We'd go back here for the views alone. The accommodation was beautiful and spec'd out to the highest order. A special thank you goes to Dominic. My dads health had declined drastically prior to our visit, but he dealt with our situation with care and compassion and gave us flexibility that we're truly grateful for. 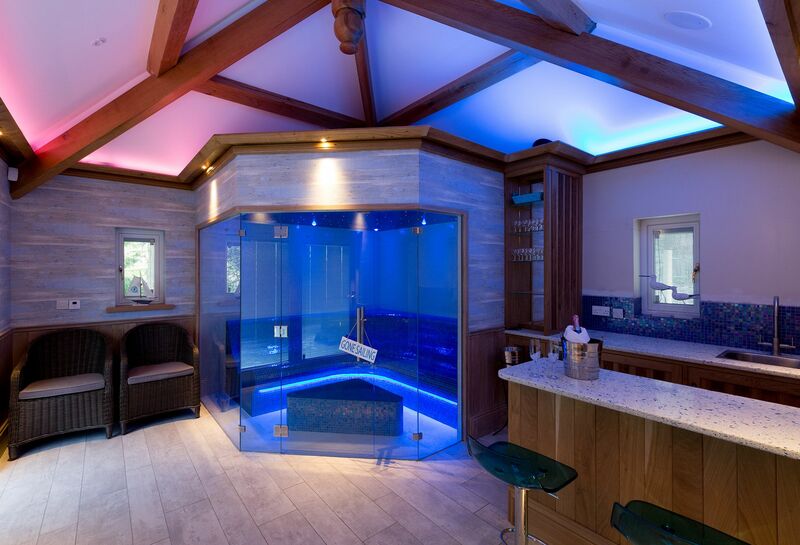 I'd recommend this place to anyone!" 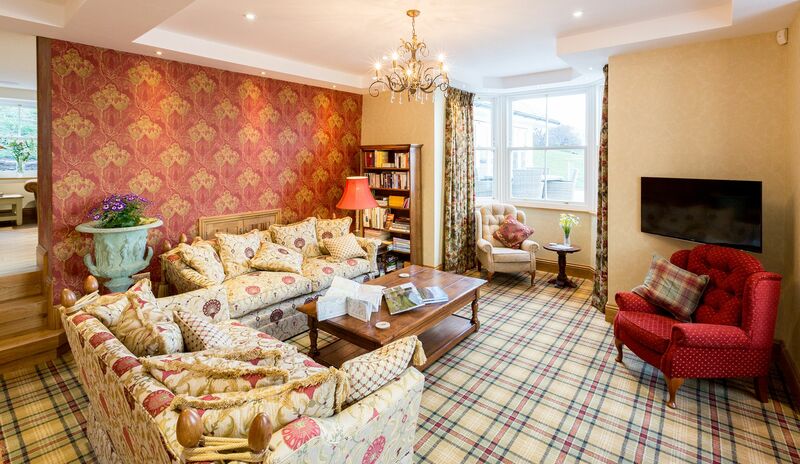 2017-10-12 Claire2306, Poole (Trip Advisor) "Came here in July for a family celebration. There was a group of us ranging in age from 15 to 85 and I was struggling to find somewhere to suit everyone. Waternook certainly met (in fact surpassed) the brief! A stunning location with breathtaking views, no one wanted to leave. 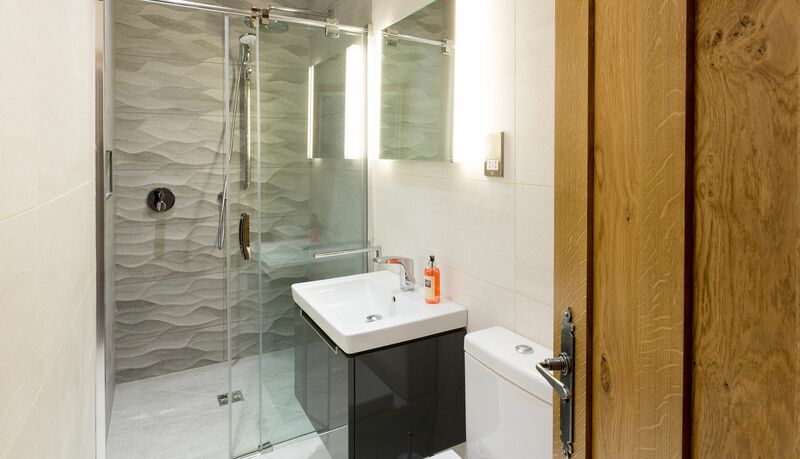 The house itself has been thoughtfully remodelled, everything oozes quality. 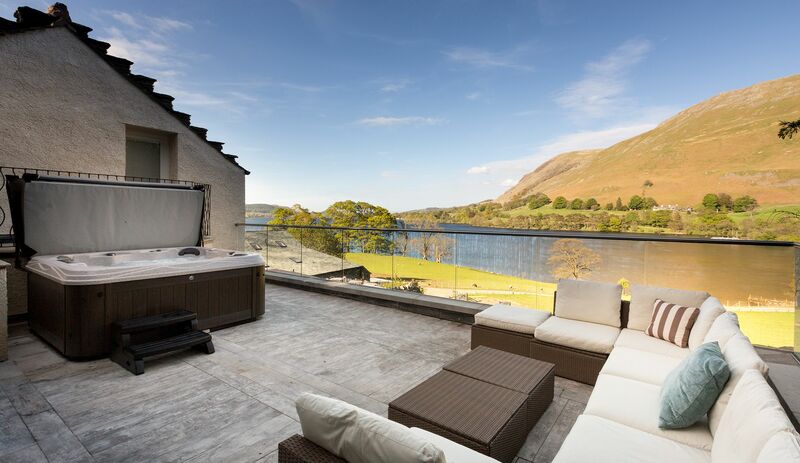 The teenagers loved the cinema room, we loved the spa with a glass of wine in the hot tub overlooking the lake and the dogs loved sunbathing on the deck outside. Dominic (the wonderful owner) arranged for chef Peter and his wife to come in on the Saturday night and deliver a sumptuous meal, catering for an array of dietary requirements including a vegan, veggies and die hard meat eaters! If you're umming and aching, go for it, remember that old quote "the quality is remembered long after the price is forgotten" and i'm not easy to please!" 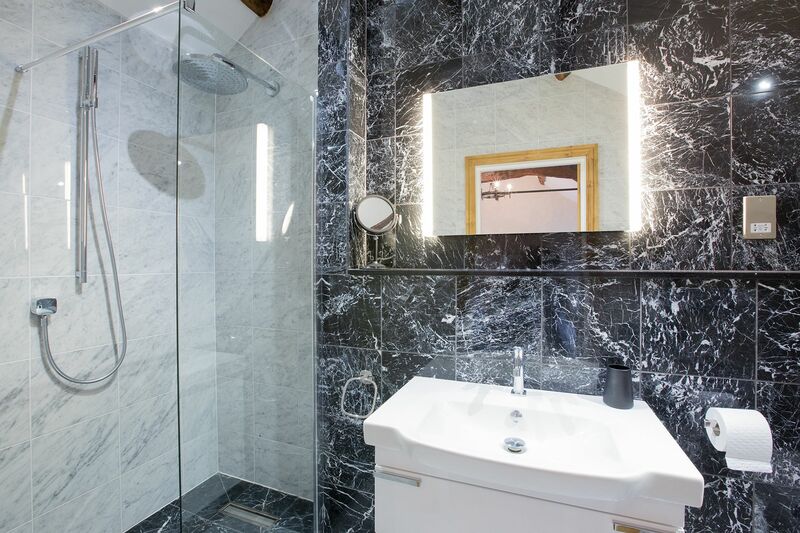 2017-09-14 Fabian D, Palma de Mallorca (Trip Advisor) "Spacious yet cozy.. will definitely return! 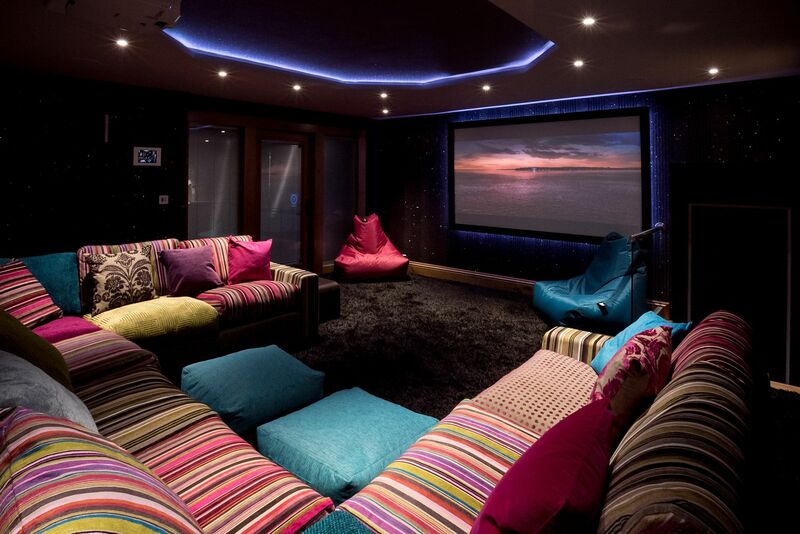 Great for a house party Most amazing setting regardless of the weather. Very relaxing, once you arrive you do not wish to leave. 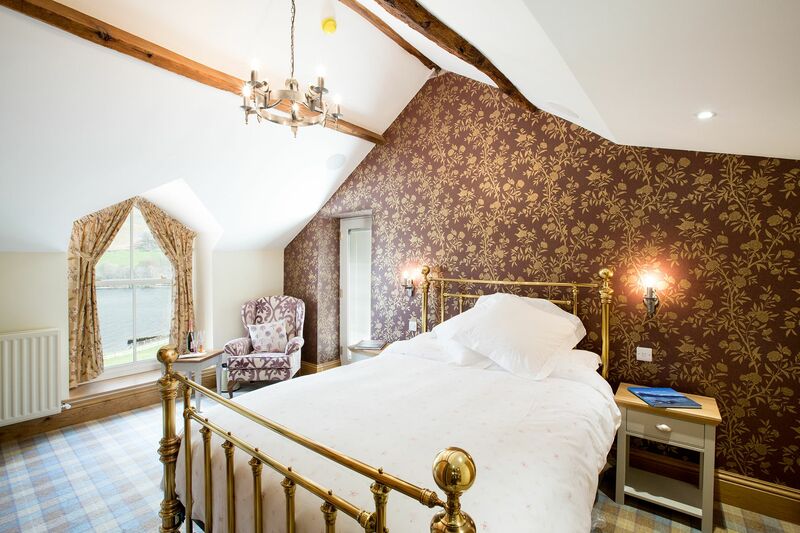 All rooms are of a high standard & the beds are extremely comfortable"
2017-07-28 suziepenrose, Wath (Trip Advisor) "We rented the house for a family visit for a week at the beginning of July. 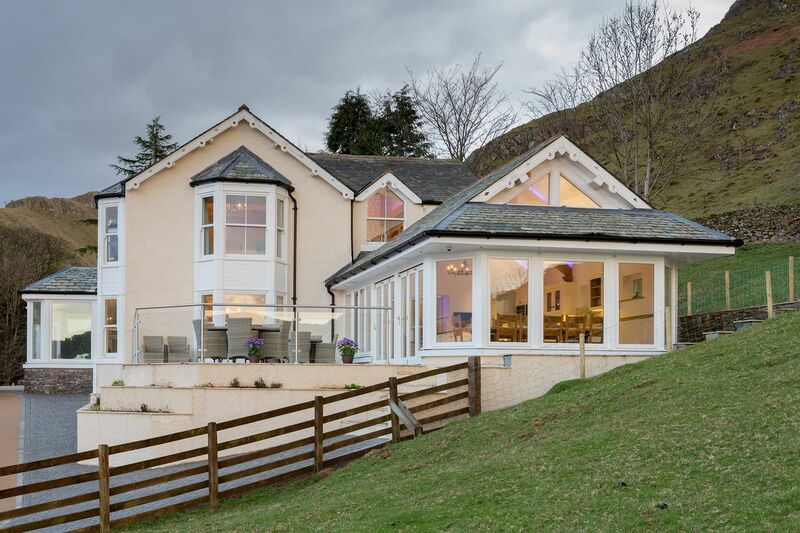 It catered so well for all ages, we enjoyed time in the hot tub, a swim in the lake, walks and runs straight from the doorstep and relaxing evenings both inside and outside depending on the weather. 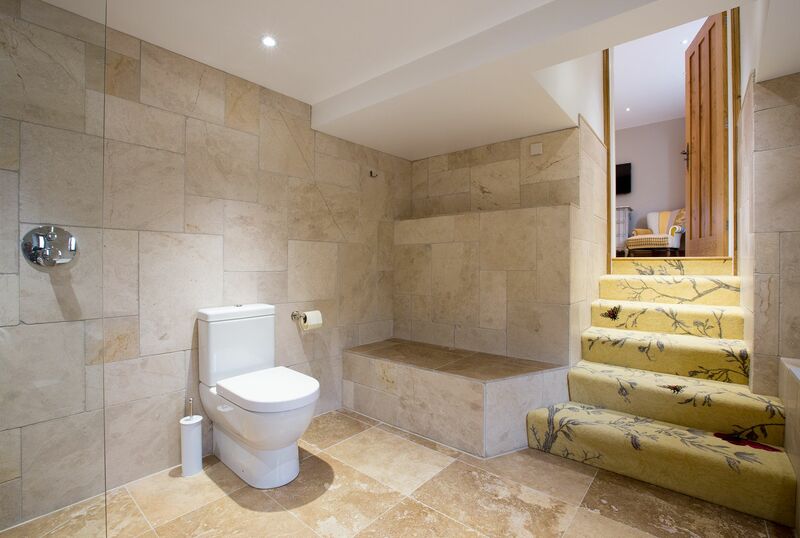 Even the dogs enjoyed luxury in their own spacious area - although if you are not a dog owner you wouldn't knoiw they allow pets at this property. 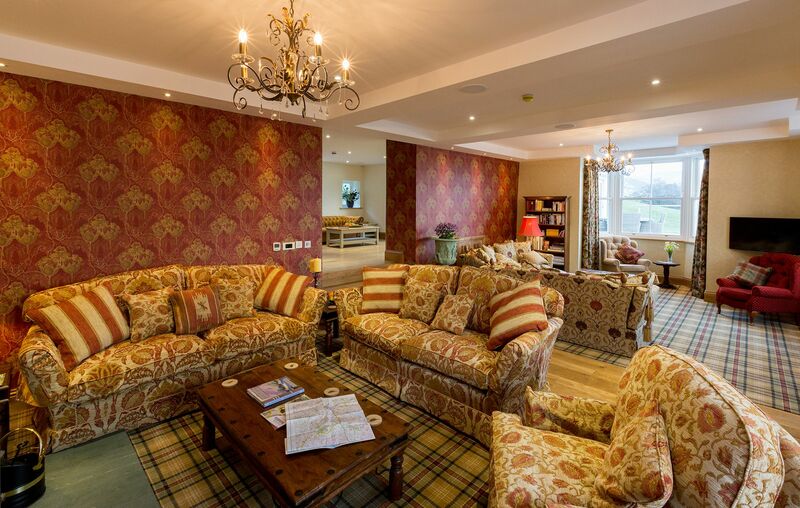 The house was beautifully decorated and particularly clean, with excellent facilities. We will definitely look to stay here again, and may look to rent both spaces maybe for friends for a special weekend. Our concern regarding the wifi not working on arrival was responded to within the hour. Excellent service. 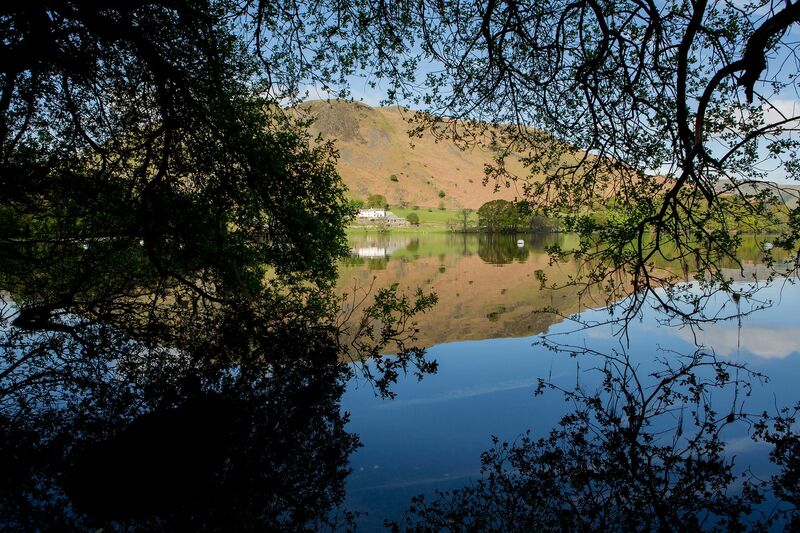 Thank you for welcoming us into your beautiful house"
2017-07-22 Kevin N (Trip Advisor) "Waternook is in a stunning location on the edge of the most remote shore on Ullswater. It has a lot of space indoors and outdoors, a good kitchen, cinema room and decent wifi. You can simply walk out of the property for great rambles. The steamer also stops nearby so you hardly need to use the car. Lots of good places to eat nearby. 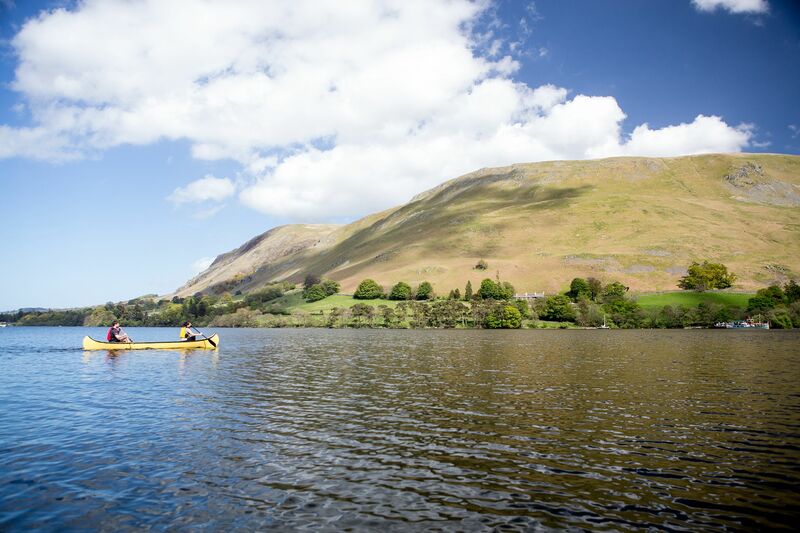 Dominic can arrange anything you want and we had great fun with kayaking, fly fishing and an in-house chef for the evening. We had a wonderful time." 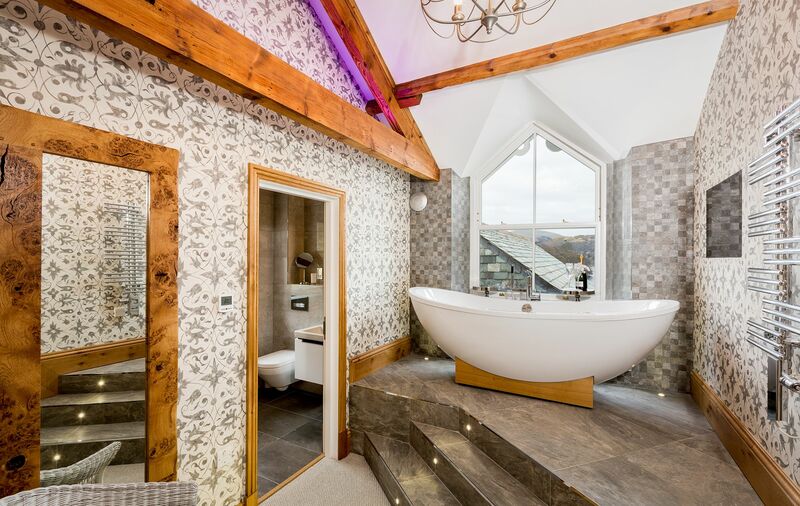 2017-06-21 Laura H, Chorley (Trip Advisor) "Wow what a house! 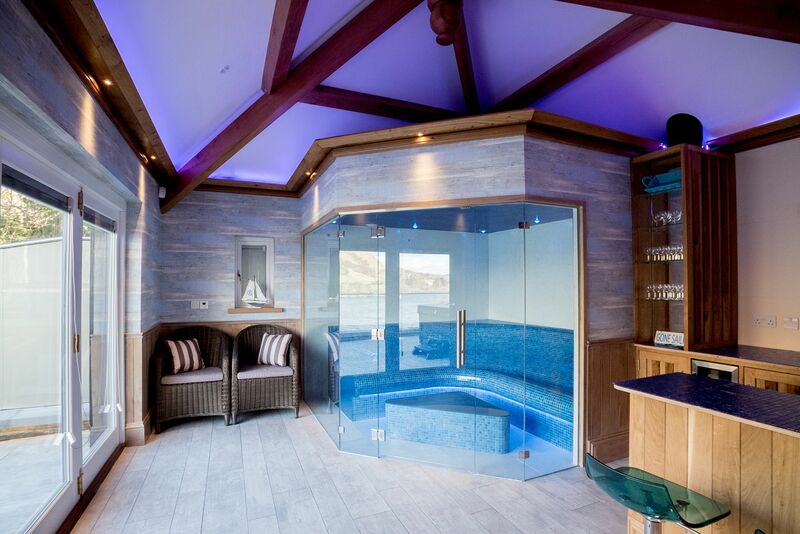 Absolutely stunning location and the facilities and specification of the house could not have been any better! 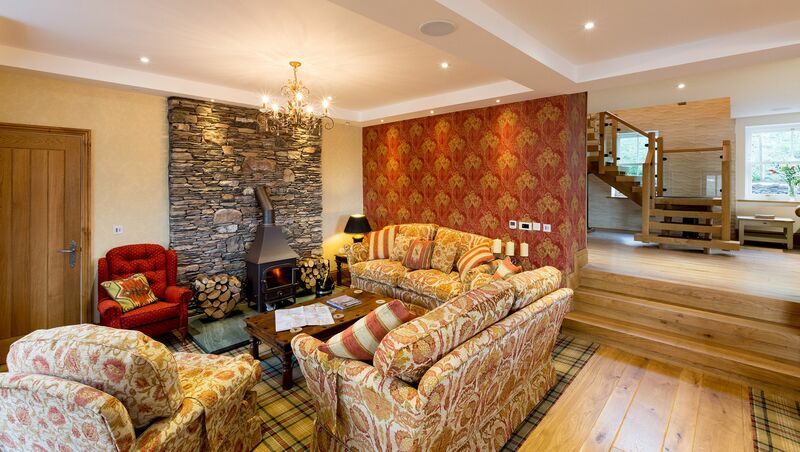 The layout of the house is very well planned and makes the most of the spectacular views! I particularly liked using the hot tub on the balcony. 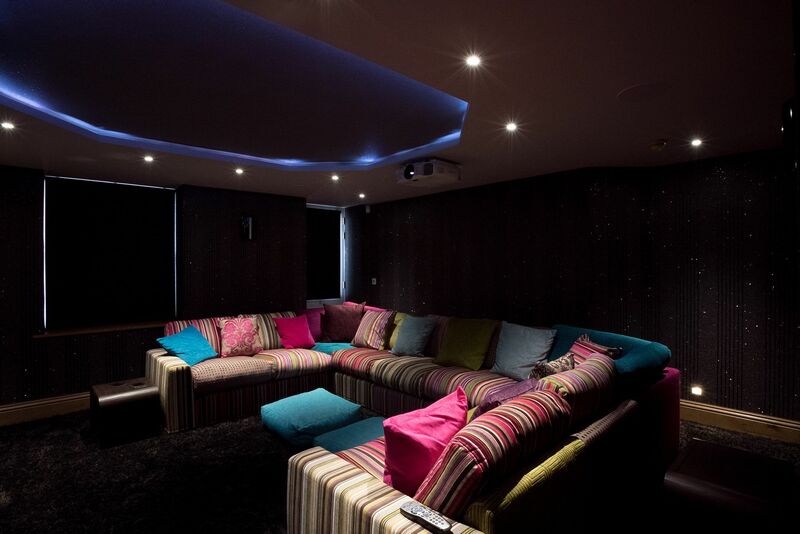 We had a family holiday with 8 adults and 4 kids age 3 - 7 who absolutely loved the cinema room in the evening! Everybody loved it and we all hope to return!"